Life is full of uncertainties & you can’t really presume that your future is devoid of risks, so to be safe one has to get himself insured so that his dependents are offered with financial help in any unforeseen event. Whole Life Insurance : The Whole Life Insurance Plans are Permanent Insurance Plans which run as long as the Policy Holder is alive. 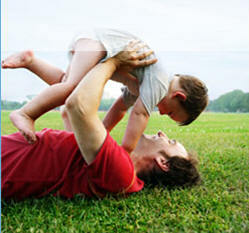 The Insured pays the premium amount throughout his life time. The beneficiary of the policy receives the coverage amount plus the interest & accumulated bonus only at the time of Insured’s death. Retirement Plans : These are basically called savings or annuity plans wherein the Policy holder saves for his retirement by accumulating a corpus which is received at the time of the retirement. The policy holder either pays in lump sums or at regular intervals over a certain period of time. There are two types of annuity Plans in the market – the Immediate Annuity & the Deferred Annuity, the former is normally for those whose retirement is imminent wherein one invests a lump sum amount & start receiving the annuity immediately. On the other hand in the Deferred Annuity, you can start saving for retirement at the young age & accumulating your corpus with regular premium payments over a period of time called deferment period, post that you can start your annuities as per the policy. Children Insurance Plans : These plans act as an important saving vehicle for your child’s future helping your child at important milestones of his/her life such as Graduation, higher studies, MBA & at your daughter’s wedding. The Child Plans by Insurance Companies play a monetary shield in such time when you want your child’s dream come into a reality & help them prove their talents & excel in their career. In a nutshell these plans offer financial security to children in the form of savings combined with life insurance by paying at regular intervals so that the money available to your child at pre-determined stages. Unit Linked Insurance Plans (ULIPs) : ULIP is an investment vehicle combined with the feature of life insurance coverage & tax benefits. Thus offering twin benefit of risk cover & investing in the market-linked instruments, however the policyholder has to borne the risk related with stock markets. You have the option of spending in numerous funds varying from 100% Debt Funds to 100% Equity Funds. The ULIPs should be bought with lot of care as they have upfront charges varying from company to company which range from 10-40%. Premiums paid for Life Insurance holds benefits of tax deduction under section-80C of Income Tax Act 1961 subjecting to an upper limit of Rs. 1, 00, 000 in each financial year. Amount deductible from your taxable is equal to 100% of investment or Rs. 100,000 whichever is lower. Tax Benefits in Pension Plans : Under Section-80CCC Premiums paid for Pension Plans enjoy a tax benefit of Rs. 1, 000, 00, this limit falls under the same limit of Section-80C. Taxability of Maturity Proceeds : Any sum received from Life insurance policy as maturity proceeds, death benefits is tax-free. In the Pension Plans one-third of the value at vesting date would be tax-free & annuity can be purchased with the rest two-third amount, cash received from this will be considered as part of your income & taxed accordingly. Riders are one of the important ingredients’ of life insurance acting as ADD-ON Covers to your Insurance Policy which are otherwise payable if taken as a separate plan, however these riders increase the overall premium of the policy. They can be customized according to the policy you buy matching your present & future needs & giving you an extended cover/protection against certain risks of life. Critical Illness or Dread Disease Rider : This is a very common rider wherein the insured is paid the sum assured in case he suffers from the critical/dreaded diseases like Cancer, Stroke, attack etc and survives the illness for a period of 30 days from the date of diagnosis. The diseases covered under this rider differ across Insurance Providers; you must check the exclusivity clause & the number of diseases covered before buying an insurance plan. Also the premium paid for the rider is eligible for tax deduction under section 80D of the Income Tax Act. Accidental Death & Disability Rider : Insurers cover the Insured in the case of accidental death or if they become disabled either partially or permanently owing to the accident. There are certain exclusions to the riders such as suicide etc. which must be checked before buying. Waiver of Premium Rider : This rider has a unique feature wherein you can ceased to pay your premium in case of any unforeseen event like acute illness of the policy holder or accident, however the policy continues to stay alive. Term Rider : This rider adds to your risk cover/life coverage providing for payment of the coverage face amount in event of death of the life insured with lower cost. Insurers have a limit to the maximum sum assured in this rider. Life Insurance Plans for women In today’s modern world where the women have now surpassed men in every field, they are not just home-makers but are independent, working & earning their livelihood. Insurers have now brought in insurance plans specially designed for women considering their requirements.